When someone you know is teetering at the edge of a cliff, please, do not push them off. Yet this is what so many of us do so often, either because we are not aware of the situation, or because we are not strong enough to rise up. Let’s say for example your friend has mentioned to you on numerous occasions that they just have to quit their addiction to video games. Often you hear “I’m just wasting precious time” or “maybe I should stop playing.” Well, it’s time to help out, next time they invite you over to sit in front of the t.v. with them, don’t ask, “what can I bring?” Instead, let them know you bought tickets to a local jazz band and take them out of the house. When you discover your boss is going through a very difficult time, don’t bring complaints to her, instead pick up the slack. Come in a little earlier, make up a fresh pot of coffee for everyone, find out what needs to be done and do it. True you may not get noticed for this, but that is not the point. 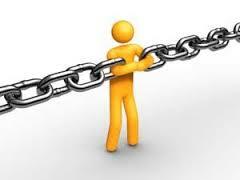 Be the strong link for everyone, there are already enough people who claim the job as the weak link. What if you have a friend who is drinking all the time? Have the strength to lead. For instance, you are both out for dinner and your friend asks if you’d like to get a bottle of wine, knowing what they are going through, you say you’d rather have sparkling water. See, there is no preaching, no right or wrong, just you as a friend taking the lead, and if they follow great, if not, just keep on being a sturdy force in their life. Become more aware of the people around you,what do they need? How can you help? Is there a way you can lead? I couldn’t agree more! This is a terrific reminder of our innate influence on others. Caring about someone is a verb! Pure and simple. The better verb we use, the better friend we are.